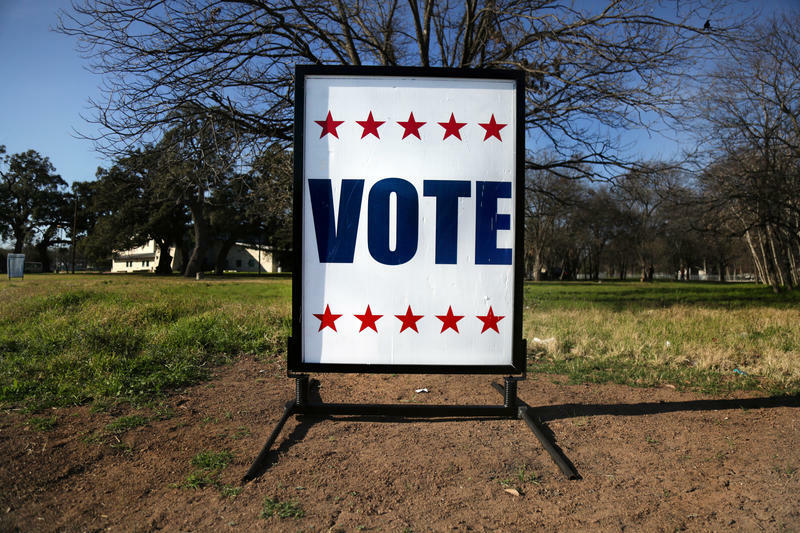 Drawing boundaries that benefit the party that drew them – Republicans do it these days in Texas, though Democrats did when they were in charge – tends to make some oddly-shaped boundaries. All 36 of Texas’ congressional seats are on the ballot this fall, but only one of those races is considered truly competitive. The vast majority of state House and Senate races aren’t particularly competitive, either. One big reason: A lot of the state's districts are drawn to give one party or the other a big majority. “It is always true in sports and in politics that the rules are going to affect the way the game is played. And that is not any less true in redistricting,” said Rebecca Deen, who chairs the political science department at the University of Texas at Arlington. Today's legislature is overwhelmingly Republican – so Republicans drew these district lines. Democrats did the same thing when they ruled Austin. The result: some oddly shaped boundaries. That’s what prompted Austin resident Tim Campbell to submit his question for #TXDecides, our statewide public radio collaboration that's answering Texas voters' questions leading up to Election Day. Campbell said he was flummoxed when he realized he’d ended up in a district that stretches from central Austin, where he lives, all the way to Fort Worth’s southern suburbs. On its face, how the lines get drawn seems like an easy question. The Texas constitution is clear: After each census, the Legislature creates maps for state and congressional districts, and the governor signs off. In reality, it’s never that simple. New maps usually launch legal battles. Legally, districts have to be compact, contiguous, and contain an equal population. In Texas, they’re supposed to conform to existing boundaries, like county lines, when possible. The Voting Rights Act says districts can’t be drawn to reduce the voting power of communities of color. Lawmakers can, however, draw districts in a way that makes them more winnable for their political party. And they do it with gusto, Deen said. “Political parties want to draw the lines so that they are more likely to keep power, and to keep their opposition from getting power,” she said. Across the country, most state legislatures are now controlled by Republicans. So Democrats are launching an effort to focus on redistricting reform ahead of the next census and inevitable new maps. In Texas, after the last census, the Republican-dominated Legislature started drawing new maps. State Sen. Kel Seliger chaired his chamber’s redistricting committee. In 2011, Texas Tribune’s Evan Smith asked Seliger whether the process should be de-politicized. “Well, take the calories out of fried chicken too,” he joked. Seliger said that while it’s not possible to be entirely non-political, he wanted the redistricting process he was overseeing to be bipartisan. “We’re trying to do it as any other bill in the Senate is going to require votes from Republicans and Democrats,” he said. Half a decade later — after years of legal wrangling — Democratic Congressman Marc Veasey said the maps drawn by the Republican-led Legislature fell short. “It was really meant and designed to discriminate against black and Hispanic voters, and maximize Republican seats,” Veasey said. The congressman said that’s why Tim Campbell ended up living in a district that confuses him. “You have districts that split Travis County up into five seats, where you have districts that run from Fort Worth to Austin,” Veasey said. That splits up liberals in Austin and adds in enough conservative voters from suburban and rural areas to outweigh the liberals in the district. The term of art is “cracking.” The other strategy is called “packing,” in which lines are drawn to cede over a district to the other party, and pack in every possible voter in that party by removing them from surrounding districts. Veasey’s 33rd congressional district falls into that category -- its a strangely shaped barbell of a district, with one chunk in Fort Worth and another chunk in Dallas, connected by a narrow strip through the mid-cities. Political scientist Rebecca Deen said, when it comes to voting rights, it’s not simple to separate legal partisan gerrymandering from illegal racial gerrymandering. That’s been the crux of legal battles that have lasted since the maps were introduced in 2011. Breaking up Democratic voting blocs without diluting the voting power of communities of color is hard because voters of color tend to skew Democratic, Deen said. “If your goal is to disempower Democrats, what you do is end up manipulating how you draw the lines, the boundary lines, either around or through where African Americans and Latinos live,” Deen said. The 2011 maps were quickly challenged in court; critics like Veasey said they violated the Voting Rights Act. A federal court drew new maps, which Texas challenged. That kicked it up to the U.S. Supreme Court, which ordered the federal court to revise the maps again. In 2014, the state House district map was revised for a third time. Those are the maps we’re voting with in November, even though the lawsuits continue. Lydia Camarillo, heads the Southwest Voter Registration and Education Project, one of the groups involved in the lawsuits. She said the revised maps are better, but still leave Latinos at a disadvantage. “This is the best we can do given what we’ve got,” she said. 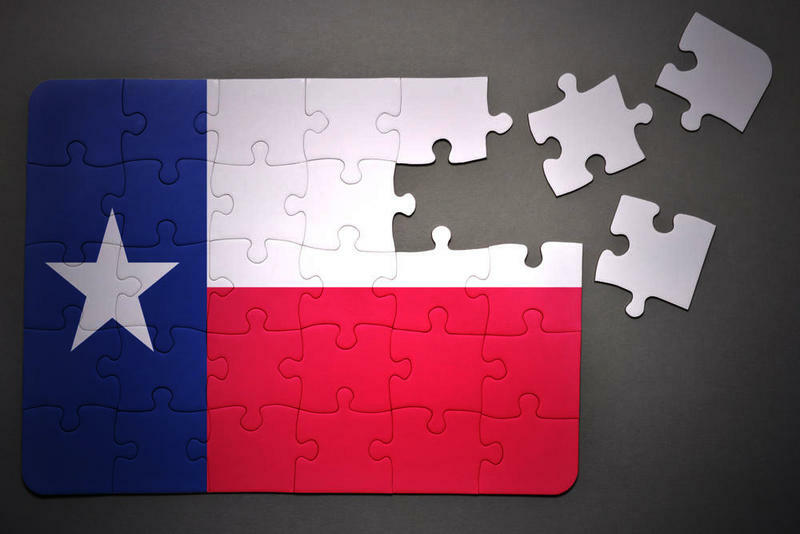 Camarillo argued that the 2010 census showed huge growth in the state’s Latino population – two-thirds of the 4.3 million new Texans — and it’s not right that the new maps didn’t reflect that. “Not only were they working to dilute the vote of Latinos and other communities but they were intentionally drawing the maps to dilute our political influence,” she said. As for the consequences of how the lines get drawn – that was the second part of question-asker Tim Campbell’s question — Camarillo said having fewer minority majority districts means fewer representatives of color in Congress, because majority white districts rarely elect non-white legislators. Across the country, just 15 of 318 majority-white districts are represented by people of color. Camarillo said that often means community priorities end up on the back burner. U.S. Rep. Marc Veasey said safer seats make politicians more partisan and cause Washington gridlock. “If we had more seats that were competitive in the state and around the country, then I think people would be a lot more pleased with what they get from Congress,” he said. 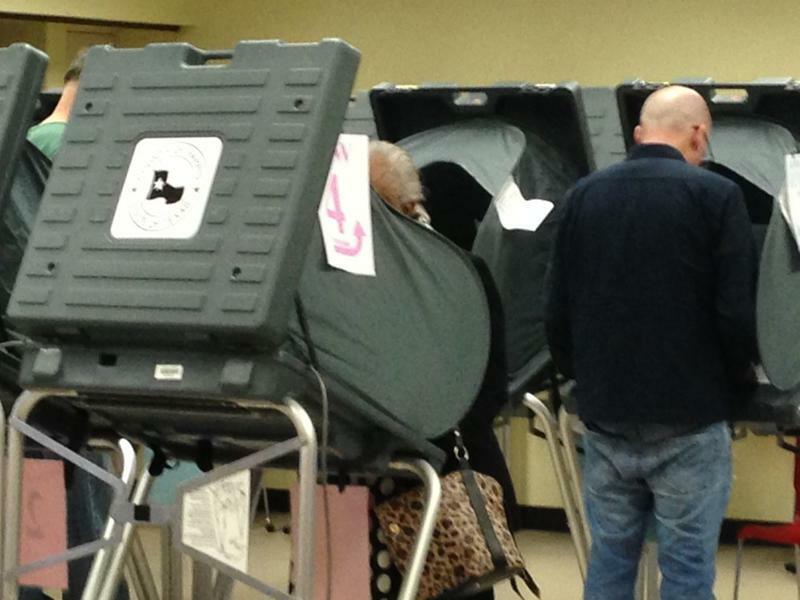 That lack of competition, according to political scientists, dampens voter turnout. And Texas? It regularly has some of the lowest turnout in the country. 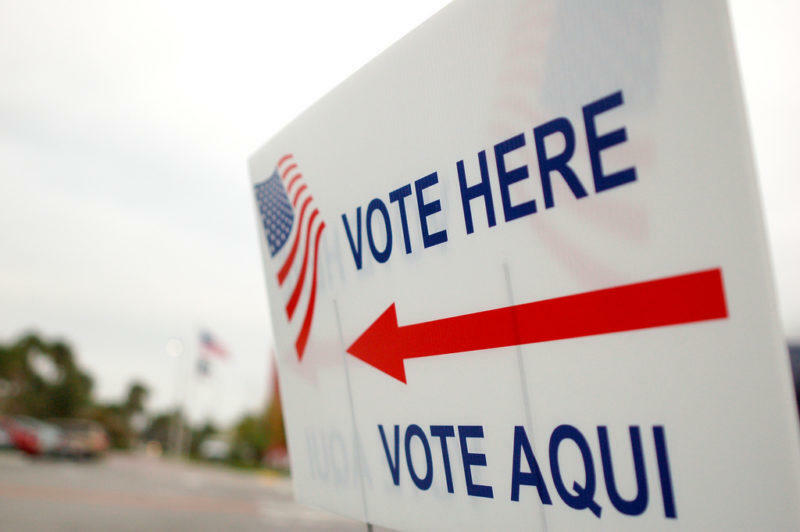 This is the third story this week in our TXDecides series – KUT's partnership with public radio stations from Houston, Dallas, San Antonio, Marfa and KUT's Texas Standard that's answering Texas voters' crowdsourced questions ahead of Election Day. We all know Texas is a red state. Democrats haven't won a statewide election since 1994, and Republicans have carried the state in every presidential election since 1976. The question of how that came to be got Gilda Garcia wondering, so she asked TXDecides – our statewide public radio collaborative that's answering Texas voters' questions ahead of Election Day. "I remember growing up my parents talking about Texas being all Democratic – period," Garcia said. "So what happened?"